Van Helsing is an American 60 minute scripted horror television series, which kicked off on September 23, 2016, on Syfy and is broadcast every Friday at 22:00. The show is currently in its 3th season. Syfy has officially confirmed the renewal of Van Helsing for Season 4. The exact release date is yet to be announced so far. Sign up to track it down. 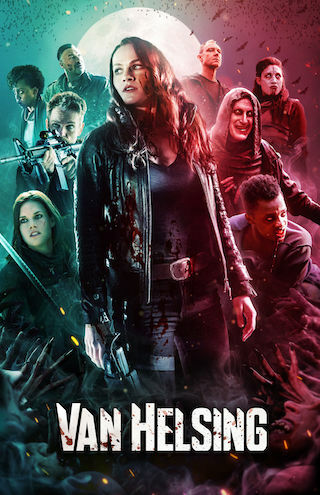 On December 18, 2018, SYFY officially confirmed that Van Helsing had been renewed for its fourth season, wich will premiere in 2019, according to the official announcement. The next season will consist of thirteen episodes. Season 4 will delve deeper into the iconic lore of the vampires and their ultimate goals for this world. New villains will rise along with unexpected heroes joining the fight. We have a fantastic build planned for this season and I'm thrilled to share it with our dedicated fans," said Showrunner Jonathan Walker.